It’s a project that just had to be made. 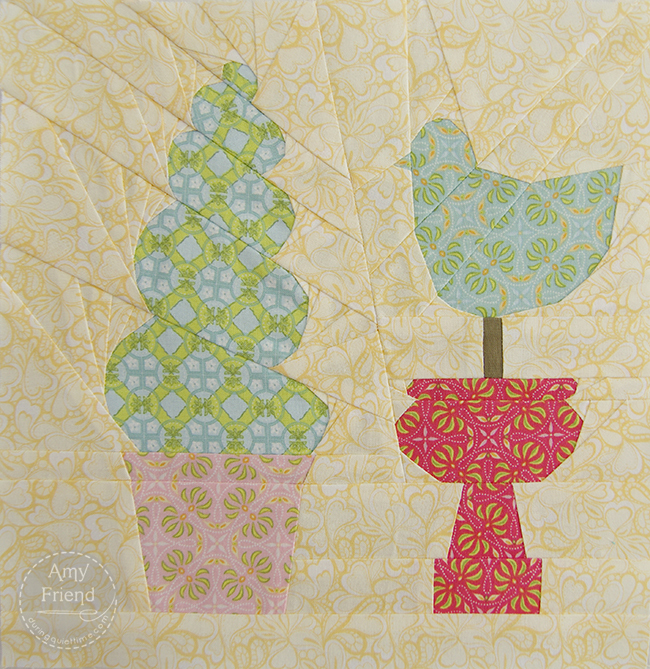 Amanda Murphy has released a new line of fabric for Blend called Topiary. When I was making my garden quilt, I designed a Topiary block. 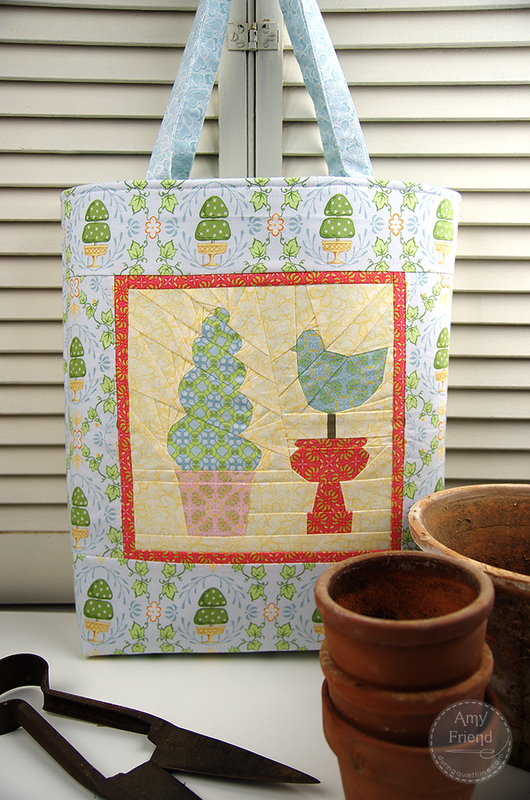 I thought that it would be fun to make that block again using the fabrics from the Topiary collection and then turn the block into a bag in order to incorporate some of the other prints in the collection with larger patterns. The print I used for the background here, called Everbloom, comes in soft yellow, pale blue and green. It’s a great print for paper piecing because it has a nice all over pattern for texture but hides seams well too because it is nondirectional. It’s a great blender. You can’t see it in this picture but the lining print is another fun one featuring garden furniture. The full tutorial for making this bag, using ThermOWeb interfacing, can be found on the ThermOWeb blog next month. Meanwhile, Topiary is arriving in stores now and can be purchased here. The Topiary block pattern is available in my shop.